8. 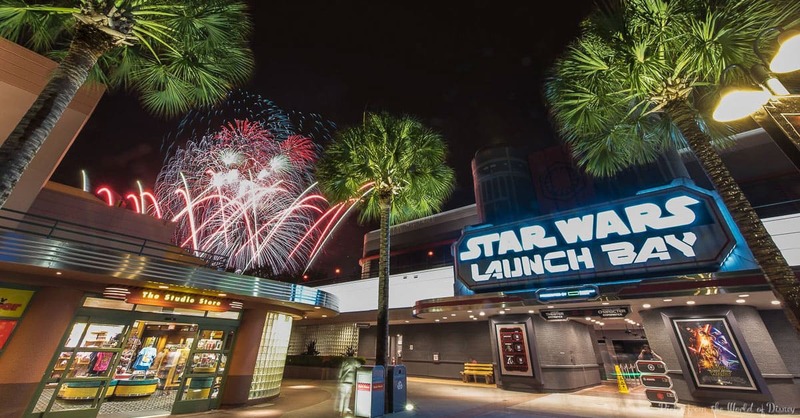 Star Wars Launch Bay – Star Wars fans can also enjoy another large area that offers up many different experiences in one location. Star Wars Launch Bay is located in the Animation Courtyard area of the park and invites guests to enjoy a mix of exhibits, sets, character meet and greets, and more that bring the Star Wars universe to life. Guests can browse items on display from the newest film Star Wars: The Last Jedi and check out things such as costume, props, artwork, and models. There is also a short film to enjoy in the Launch Bay Theater, sets such as the Cantina to enjoy, and some special meet and greets. Those who are members of the First Order can meet Kylo Ren on the bridge of his command ship where he just might try to control their minds. Rebellion members can opt to meet Chewbacca and BB-8 and enjoy amazing photos courtesy of the PhotoPass Cast Members. Another highlight of Star Wars Launch Bay is the Launch Bay Cargo store where guests can purchase memorabilia, toys, artwork, and more all inspired by Star Wars.